Free healthy and nutritious summer meals are available for children (18 and under) when school is out. To find a site close to you, call (800) 359-2163 or text FoodIL or ComidasIL (en español) to 877877. You also can use the online locator at summermealsillinois.org. 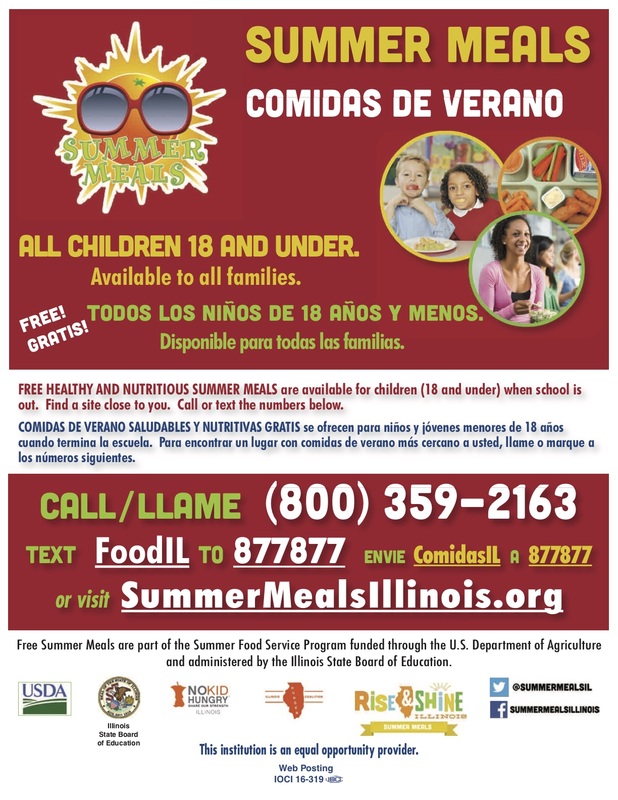 Free summer meals are part of the Summer Food Service Program funded through the U.S. Department of Agriculture and administered by the Illinois State Board of Education. Follow @SummerMealsIL on Twitter and @SummerMealsIllinois on Facebook for updates.